One of our top locations from when we were younger. Good memories that come back on the streets of the Barrio Alto. 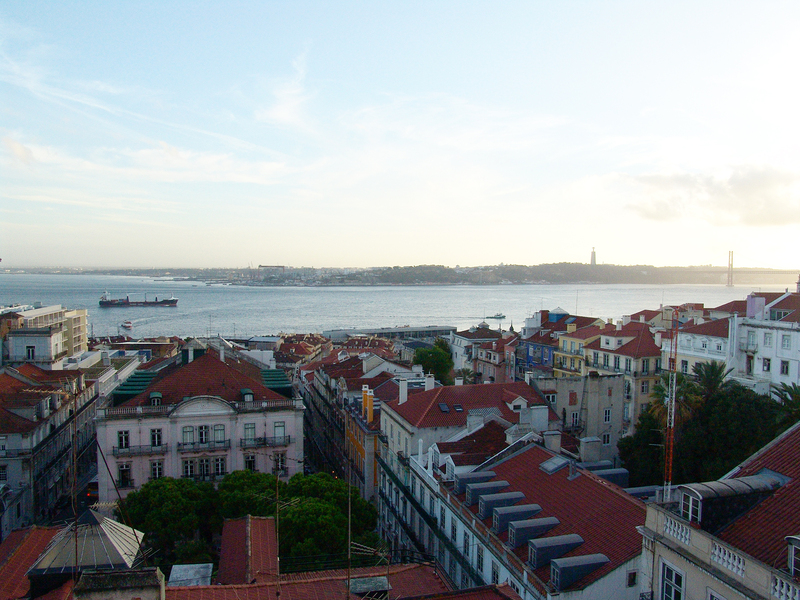 Baixa, Alfama, Chiado, every neighborhood will fascinate you. A place where amazing things happen and when most of all, the mix of elegance and nostalgy that Portugal exudes, in Lisbon shapes into a great labyrinth. Views of roofs and the city surrounded by the River Tajo. This pic was taking from the rooftop of the Regency Hotel, super spot for un cafecito. Placa Figueres for bingwatching skaters doing their thing. 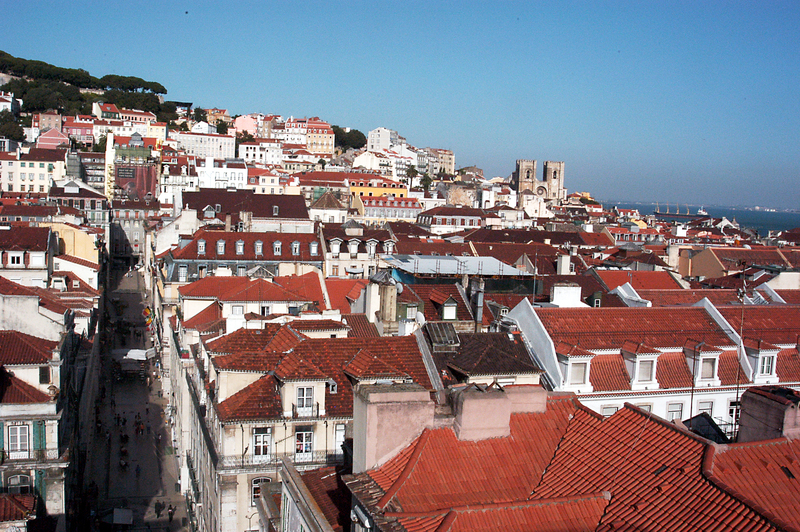 The neighbourhood of Alfama to enjoy the typical_portuguese_Tiles´Facades. 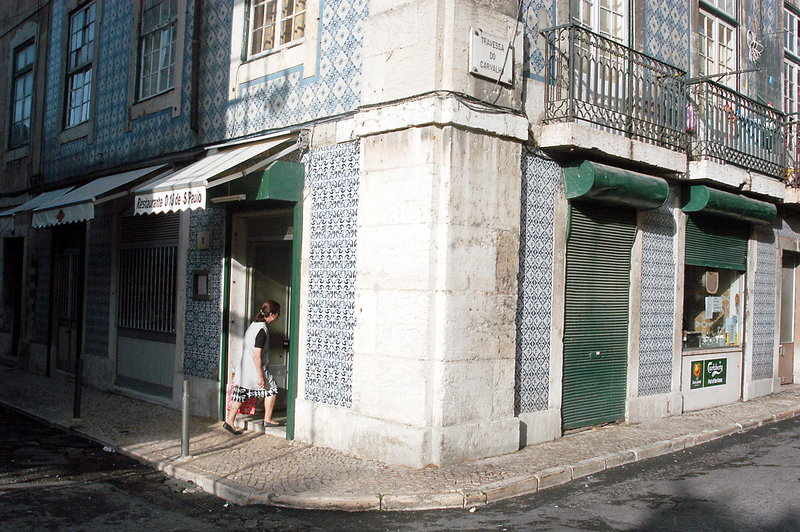 The tiles are everywhere but Alfama brings the oportunity to enjoy shortcuts with inspiring visual inputs. 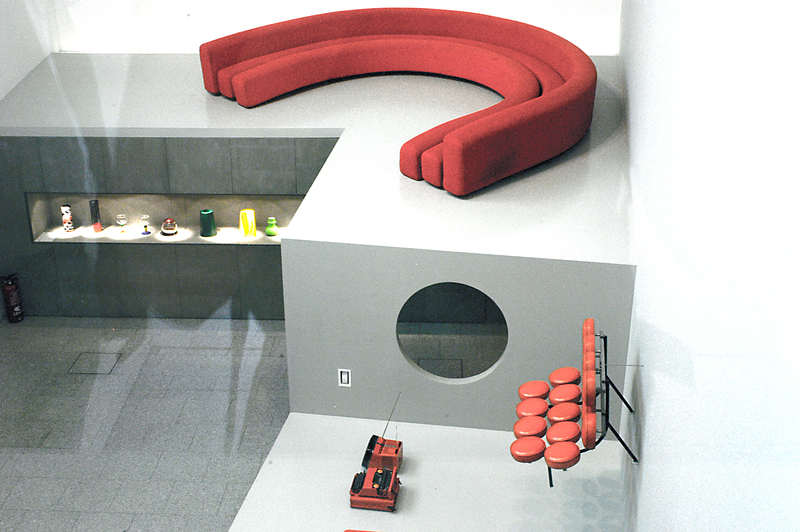 A Visit to MUDE – Museu do Design e da Moda – with the private colection of Francisco Capelo at the Cultural Center of Belem, is worth a visit. 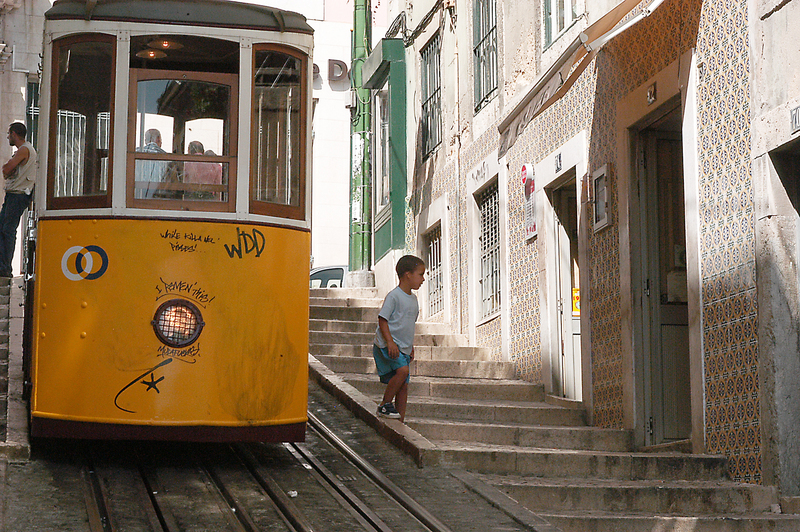 Bica and its tram, pure cotidiano portugués. 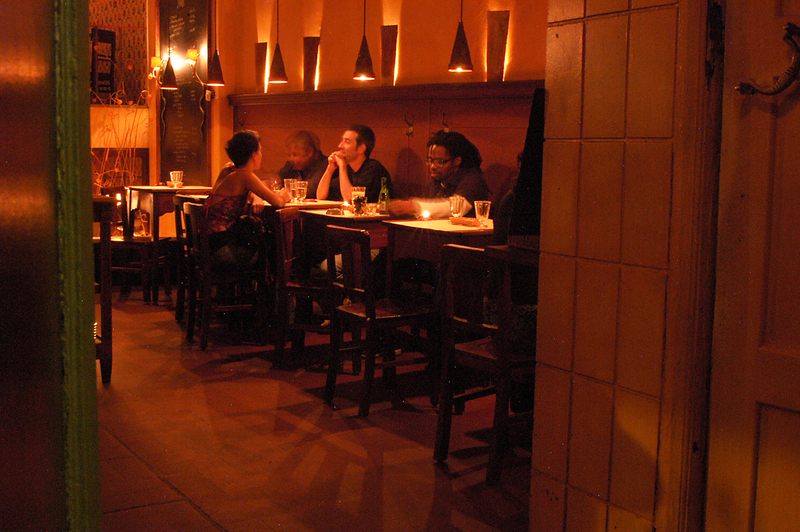 Barrio Alto, visits should be always at night. 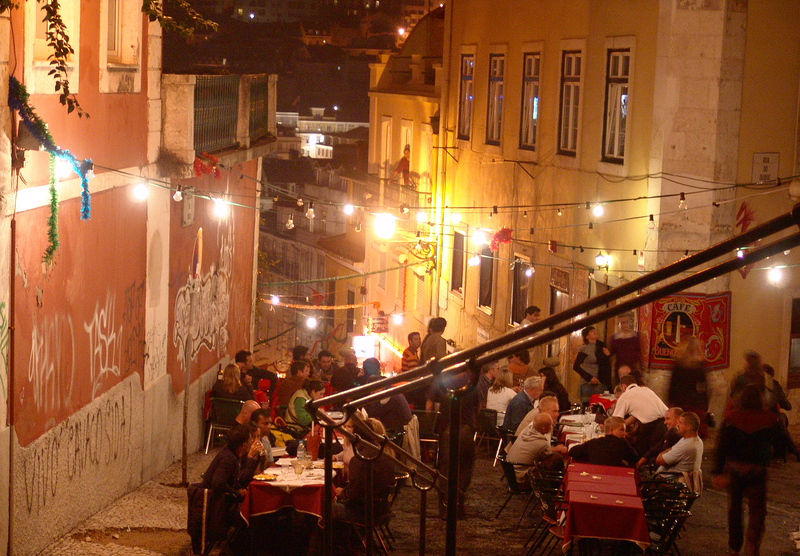 A super lively hood, filled up with bars open until very very late & restaurants Here the Restaurante Sul. 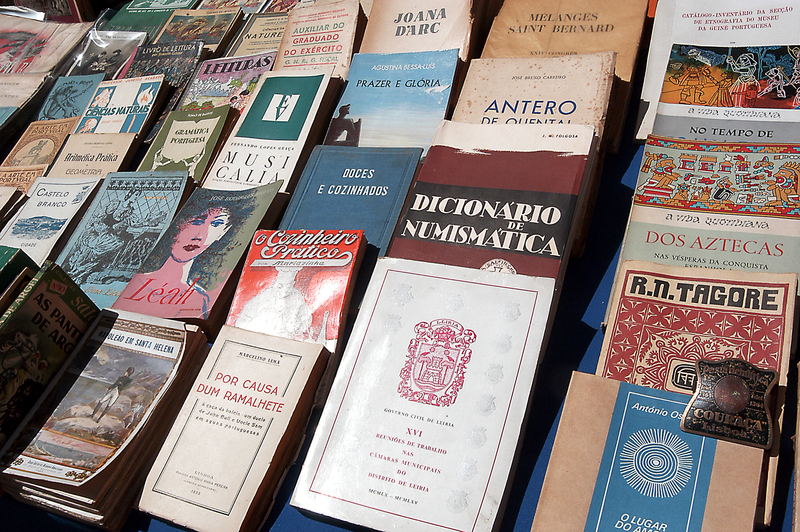 Lisboa is a city of Fado and books. Antique books, bookshops that open until midnight. Is a paradise for literature lovers. 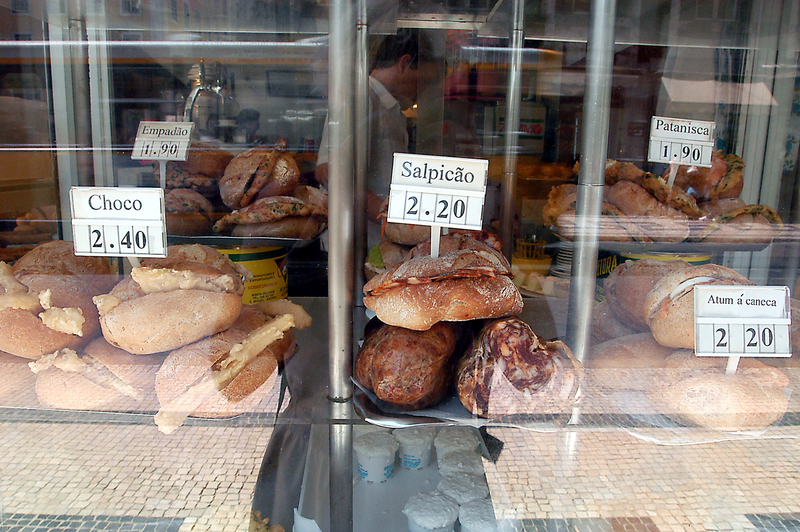 Portugal´s food is fantastic. 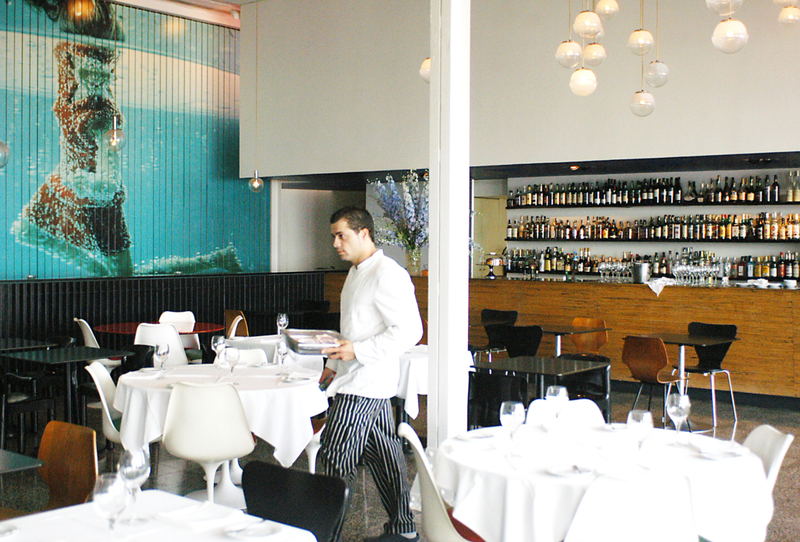 One of the reasons we love being there is because of the delicious food they have. No matter if a Restaurant – for example, the Bica do Sapato- our opening image- or at any low key cafeteria / bar or pasteleria: you will want to taste everything. 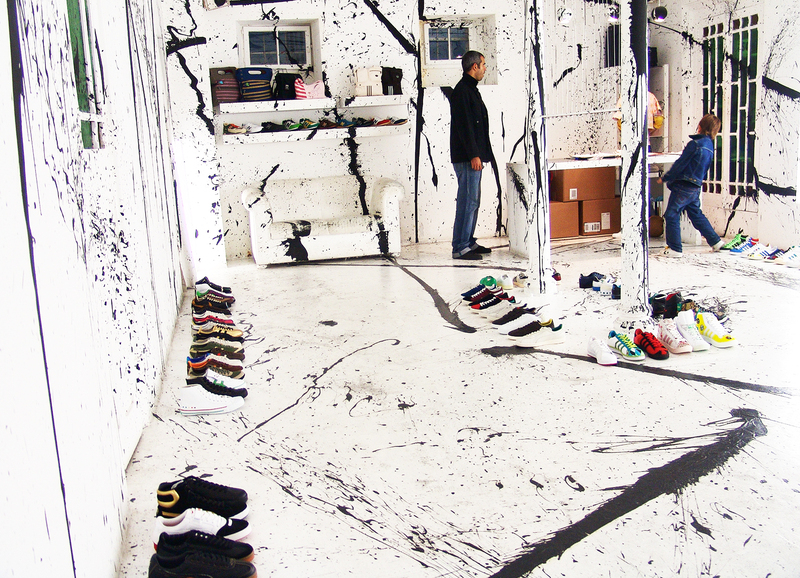 Barrio Alto is full of avant Garde stores and is where all the creative people have their studios / workspaces. And Always, around, the stunning Tajo River. Embracing the city in its full length from the Miradores.